When an unexpected financial need suddenly arises, it is not always easy to know where to turn to for help. One the face of it, the available options might seem virtually endless, but realistic and reasonable options are much more limited. If you have a good-sized savings or investment account you can draw on if you can borrow from a family member or friend, or if you can simply reduce your spending for a time while you fight your way through a “financial tough spot,” that’s one thing. But in many cases, you may need to secure financing. And you may not have the credit score nor the wait-time for a traditional bank loan. What are your bad credit loan options then? Payday, Title, or Personal Loan? When in a temporary financial difficulty and needing cash fast to get your through it, your three main options are typically: payday loans online, title loans, and online personal loans. Credit cards can also be an option, but oftentimes, those with bad or no credit rating can’t get approved for a credit card, aren’t given a sufficient credit limit, or would have to pay interest rates as high or higher than the other options. How do these three options, then, compare? Title loans are only available to those who own their car outright (a title with no lien on it), plus, they force you to risk your car as collateral. 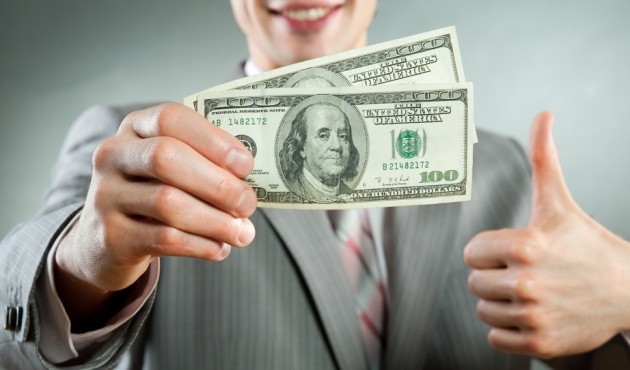 Payday loans often disallow you to borrow enough cash and then demand repayment in full after your very next paycheck. And payday loan interest rates and fees are usually higher than those of online personal loans. Personal loans, also called “installment loans,” give you the most flexibility in terms and structured, affordable repayment plan. And you get more time to repay. Not all personal loans no credit check lenders forego a credit check, but many do. Less than perfect credit will not keep you from getting approved for the loan. You can take out the loan online from the comfort of your own home. Rates/fees are lower than with most payday and title loans and many credit cards. You can borrow anywhere from a few hundred to a thousand dollars. You can repay in only a few months across two or more years. Income-based installment payments make personal loans affordable. Making payments is simple, normally done by automatic withdrawal from your checking account. Making payments on-time helps build back your credit. You can use the cash any way you want and the money is sent directly to your account. How Do Personal Loans No Credit Check Work? Personal loans no credit check are fast and simple to request. You simply fill out some very basic personal and financial information on a short to-the-point online form. Then, within moments, you will almost certainly be approved making these excellent bad credit loans guaranteed approval. If you already owe money to the same lender or another personal loan lender, or if you are currently in bankruptcy, you will not be approved. But almost everyone else qualifies, and there will be no credit-based denials. Once approved, you can expect the cash to make it to your account by the next (or sometimes even the same) business day. You can then use the money immediately. At Bonsai Finance, we will ensure that your monthly payments are never more than you can reasonably handle and take that into consideration when setting your loan terms. At Bonsai Finance, we can help you find no credit check loans and for people with bad credit or no credit who often can’t qualify for a traditional bank loan. Our rates are highly competitive, and our terms are as flexible as possible, so as to better serve our clients. We make it as fast and simple as possible for you to fill out our request forms, get approved, and get the borrowed cash into your account. We understand that many who take out small, short-term quick loans are in financial straits and do not have time for needless delay. Everyone gets to a point in their life where they’re ready to make a big move. Whether that’s for buying a new house or car or investing in a new business venture, all of those things take a substantial amount of money. However, even people with steady incomes and a sturdy savings account can struggle. Despite having money saved up, you may find yourself turning to loans as an option for payment. If you’ve never gotten a loan before, the idea of borrowing money may seem daunting. But Bonsai Finance is here to help you every step of the way. When it comes to loans, an inexperienced borrower may just go with the first lender they find. This can turn out to be a bad move for several reasons. For starters, you may be overlooking other more suitable options for your budget and financial situation. Secondly, without researching the lender and their services, you may be signing up for more than you can handle. On top of all of this, if your experience with the lender isn’t great, you’ve now wasted your hard earned time and money. To avoid all of this trouble and free yourself from the hassle of working alone, Bonsai Finance is the way to go. New borrowers may find that personal loans no credit check are the way to go when they’re in need for extra cash, and rightfully so. Personal loans give you the most flexibility when it comes to payment times and term lengths. These are usually more structured and affordable, making them the perfect type of loan for people with poor credit or no credit. The maximum amount of a personal loan you can receive from a lender depends on your situation. Credit checks are put in place to ensure the lender you can pay back what you owe. But your credit score may not accurately reflect your ability to repay your debt. Bonsai Finance understands that and that’s why you can expect a different situation when you work with a representative. Bonsai Finance’s goal is to make the loan process easier for you. You won’t be subject to following strict requirements, nor do you have to worry about stressful credit checks. Your representative works to give you the best in personal loans no credit check that the market has to offer. After understanding your financial situation and what you’d like to accomplish with your loan, your Bonsai Finance agent show you different options for lenders to provide you with the best loan for your situation. Not only does Bonsai Finance have the expertise you need to get your bad credit installment loan right the first time, but we can also provide personalized services tailored to your situation. Online personal loans, installment loans, and cash advance loans are just some of the many services we can help you receive.